Dr Sarah Wakelin qualified in medicine at King’s College London in 1988 having obtained an intercalated BSc in pharmacology in 1985. 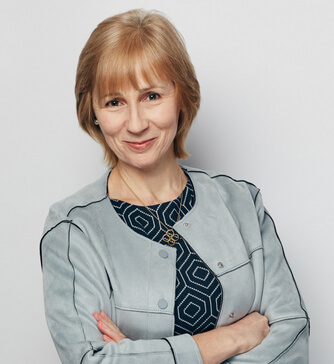 She was appointed as consultant dermatologist to St Mary’s Hospital in 1999 and is now the lead clinician for skin allergy diagnostic services at Imperial College Healthcare Trust. Her clinical practice covers general adult dermatology including acute and inflammatory skin disease. She has carried out research on allergy to latex, lanolin, fragrance and a range of environmental allergens and this has formed the basis of over 80 journal publications. She also devised and edited The Handbook of Systemic Drug Treatment in Dermatology which has been published internationally, and wrote the Royal Society of Medicine publication, Your Guide to Eczema. She is a member of the committee of the British Society for Cutaneous Allergy and the Drugs and Therapeutics Group of the British Association of Dermatologists. Sarah is also Honorary Senior Lecturer and co-organiser of the dermatology module of the MSc and Diploma in Allergy at Imperial College and was external examiner for King’s College University from 2013-2015. She is a former president of the St John’s Dermatology Society.